When people go on cruises, they still want to use their technology devices, Princess Cruises knows this. Therefore, they’ve invested in long range, energy-efficient Ethernet services for the entire ship. It uses the existing copper infrastructure seen with telephone wiring throughout the ship. • It helps to conserve electricity with its lower power solutions. • It uses existing telephone cabling and rapid deployment, which means it doesn’t cost much to install. 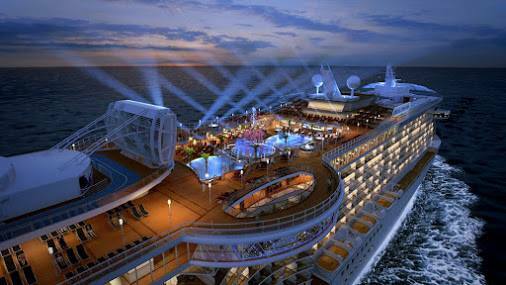 • It allows for long-range placement of IP cameras to ensure better security throughout the ship. IP cameras can be used in areas that were once unable to monitored or unreachable through coax or Ethernet wiring. What Solutions Have Been Implemented? What Are Offered With The Solutions? We offer a optional 4-Year Peace of mind business continuity AREP (Next Business Day Advanced Replacement) service. Enable-IT is globally known for its superior engineered Ethernet Extender and PoE Extender solutions that deliver dramatic network performance-improvement and significant cost savings over traditional wireless or fiber technology. We are pioneers in the Ethernet and PoE industries. Our Ethernet Extenders and PoE Extenders deliver unsurpassed Ethernet performance, power, and reach! And we offer the most knowledgeable English-speaking customer service and technical support in the industry. 100% US-based design, development, manufacture, shipping, and support of our superior Ethernet Extender and PoE Extender Solutions. Our gracious customer service teams are highly trained and highly skilled in Ethernet and PoE troubleshooting—and they are easy to understand and happy to help! Princess cruises utilizing Ethernet Extension technology: Enable-IT’s 860 PRO and 865 PRO to increase customers experience. Here is the manual for the 860 PRO Rev E and the 865 PRO!